GLENS FALLS, NY - The Adirondack Theatre Festival announces its 2011 season of musicals, plays and shows at the Charles R. Wood Theater! Join in the comic, tragic, thought-provoking, and/or surprising new shows that the ATF has to offer. All-New Shows - Be sure to catch the budding brilliancy of a world premier comedy, a one-woman show, a romance rekindled and the first public reading of a new play about Glens Falls, NY! A one woman show featuring more than a dozen characters. Gary Adler, composer & musical director, and his songwriting partner Phoebe Kreutz will have you laughing, tapping your toes and singing along as they perform songs from their musicals: past, present and future. Humor, heartache, secrets and snow. A world premiere musical comedy about teen mischief and stock market dreams. A new play about the past, present and future of Glens Falls' South Street. 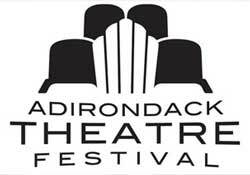 For more information about the Adirondack Theatre Festival call (518) 874-0800.